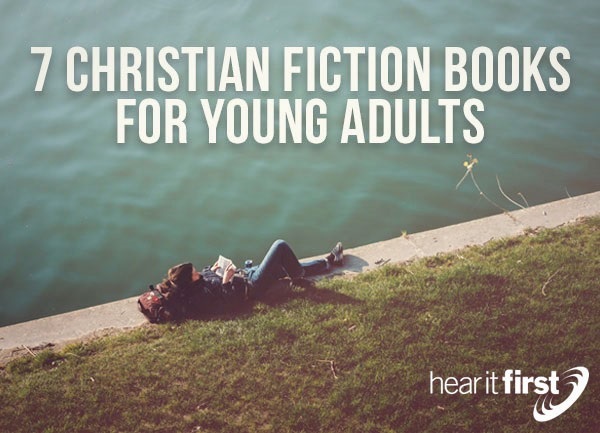 Here are seven great Christian fiction books that young adults would love and benefit from. The Bible verse that says, are “not five sparrows sold for two pennies? And not one of them is forgotten before” (Luke 12:6), is where Jesus is telling them (and us), that “even the hairs of your head are all numbered. Fear not; you are of more value than many sparrows” (Luke 12:7). That is very much the theme of this fictional book by Meg Moseley. The story focuses on an uphill battle after a woman is widowed and becomes a single mother of six. Her whole purpose is simply survive, and then, to strive to secure freedom, safety, and love for her family. This is Meg Moseley’s debut novel and it is good one. The author acknowledges on her website that her novels are more about “Realism, faith, and a funny streak,” and that’s why she believes young adults will really enjoy this book. A by-produce of reading this book is they’ll be shown an example of a family striving to survive and stick together, and against all odds. There You’ll Find Me is a touching story by Jenny B. Jones that has been rated as one of the highest of the Christian romance books for young audiences in the last few years. Finley Sinclair might remind you of some teenage boys, but she’s anything but a typical teenage girl, because this young lady is tough as nails! She’s not shy at all. In fact, she’s driven, but when her older and most loved brother Will dies, she suddenly loses interest in everything. After a while, she decides to follow her late brother’s journey in Ireland and uses his journal as a guide. Unknown to her, the flight to Ireland will change her life forever. This is a great read for any Christian youth, male or female, although it might appeal more to the ladies than to the men. Courageous is one in a series that’s called Valiant Hearts. It’s Book Three, and written by Dina L. Sleiman who writes an inspiring story about a courageous young woman, Rosalind of Ipsworth, who becomes inspired by young Lady Sapphira’s vision. Rosalind is trying to recover from a tragic mistake that changed her life, so she gladly gives herself over to the cause of defending of the cross. One editorial review said that Rosalind is an intelligent version of Robin Hood. In this fictional book, Rosalind and Sir Randel unexpectedly learn to forgive themselves and accept God’s grace as sufficient for everything. That’s an encouraging reminder for young people. Their attention this book gives to prayer and seeking God’s guidance makes it a rock-solid Christian book that young adults would love and be beneficial for them. Samara’s Peril, written by Jaye L. Knight, is one of the best Christian fiction books that nobody knows about. Well, not exactly nobody, because it has an almost 90% reader approval rating on Amazon’s book reviews, so if young readers like it that much, there must be some redeeming value to it…and there is. Samara’s Peril is Book Three of a series, so this book might be better served with reading the first two volumes, but this book is enough to stand alone, as it is. The plot hinges on the country of Samara and the potential doom that awaits them, based upon the fact that Emperor Daican has been in contact with his chief war strategist. When Lady Anne tries to find out Emperor Daican’s plans, something totally unexpected happens and it complicates everything. Even though this book is set in medieval times, there are no mystical powers or wizards performing magic found in this book, so Christian parents and young adults would approve, however this fictional book is a great read at any age, young adult or other. The classical Christian fiction book, Pilgrim’s Progress, written by John Bunyan, is just as important today to read as in the day it was written. In this book we find the new Christian struggling with different experiences in life. Like Christian, the reader might not realize that hope is a good thing…and really, it is everything. Hope can get you out of the Slough of Despond after you leave the City of Destruction and make your way, as a pilgrim, to the Celestial City. Since all Christians are pilgrims in this world, we too are seeking a better home, the Celestial City, and we also will encounter all sorts of experiences along the path. The pilgrim’s progress may not always go as expected. Some will fall away, like Pliable, who turns back at the Slough of Despond, and Ignorance, who thinks he’s a true follower but like the Pharisees, he only trusted in themselves. There are some powerful theological truths interwoven in this classical Christian fiction book and should be a “must read” for every new Christian, not just young adults. I think every child, not just young adults, should read The Chronicles of Narnia, because as you probably know, there are some very clear analogies of the Christian faith in this book. Just as in this world, there are epic battles between good and evil and there are friendships won and friendships lost. Relationships made and relationships betrayed. When C.S. Lewis wrote The Lion, the Witch and the Wardrobe, he didn’t stop there. He followed this by writing six other books, resulting in the Chronicles of Narnia. Any of these other books would be stand-alone good, because young adults learn early that life isn’t always fair. Indeed, most of the time, it’s not. It appears evil is winning…and it is, at least for now. Solomon wrote about the same thing in the Book of Ecclesiastes. If nothing else, this might teach them that God will ultimately judge everyone righteously…but in His time, not ours. Her Mother’s Hope (Marta’s Legacy), written by Francine Rivers, is a fictional epic of a two-generation saga between a mother and a daughter. This book won the Retailers Choice Award in 2011 and the author is already in the Romance Writers of America Hall of Fame. The story focuses on Marta Schneider, the least liked daughters of her Papa, and he takes it out on her, physically. When she runs away from the abuse, and being angered by her mother’s weak response at stopping the abuse, she finds a whole new world. One of the editorial reviews on Amazon said that it was dramatic, engaging, and acknowledges the bedroom without going inside (Publishers Weekly). On the author’s website, she says as a Christian writer, “I want to whet the appetite for the real thing: the Bible and a personal relationship with Jesus. I try to weave Scripture throughout the story so people receive the Word and see what it might mean in their lives,” and she does that in a marvelous. I hope that these recommendations will be helpful when you are deciding on what to buy your young adult friend or child for Christmas, graduation, birthday, or for no occasion, or if you are a young adult and you’re looking for exceptionally good fiction. These books can create a sense of purpose in young adults lives, they can give them a view toward eternity (the Celestial City), and allow them to endure the dark nights of the soul, and get out of the Slough of Despond. We who believe have hope; hope in Christ, and in this world, that is everything.